Do You Really Know What Your Equine Dentist is Doing? You Should! I cut open the cheek of this dead horse to examine these cheek teeth, which were ground down almost to the gumline by an illegally practicing non-vet dentist. Recently, a 16 year old Tennessee Walker gelding was referred to our veterinary practice by another vet, for severe colic. It had been unresponsive to treatment and the owner was interested in colic surgery, if needed. The horse arrived dead in the trailer. I performed a post-mortem exam and found a massively ruptured stomach. There was a soup of beet pulp spread around the entire abdomen, and coating all the organs. The horse died of shock from overwhelming toxicity. This horse had received “special and corrective” dentistry by a lay dental floater operating illegally in the state of New Mexico. Following the procedure, the horse could not chew hay, so this non-veterinarian prescribed a diet of only beet pulp gruel for weeks to months after the procedure. The horse was two-weeks into this regimen when it died. Several other horses in the same barn were treated by this person, and were prescribed the same regimen! 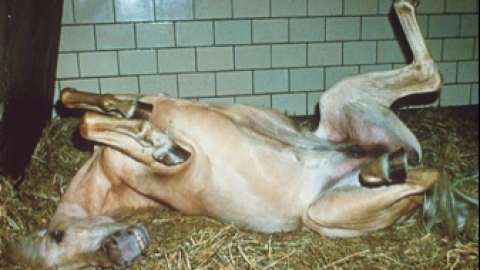 Why did the horse’s stomach rupture? Nobody knows for sure, but massive gas production from fast-fermenting beet pulp could have been a contributor. Bottom line, the stress caused to a horse by being unable to chew is a trigger for all kinds of other serious problems. The horse’s mouth has evolved over millions of years to do what is needed. What makes us think we need to radically change the shape of the teeth just because we have the power tools to do it? Show me some evidence that it really helps the horse. Or don’t bother, because you won’t find any! Think about what horses have accomplished through history, without that kind of radical intervention. Above all, DO NO HARM. That is something that is taught to us in veterinary school. If I am presented a healthy horse, I am extremely reluctant to perform any procedure that results in their inability to chew for weeks to months, in the name of “balancing their mouth.” As a horse owner or caretaker, you should be highly suspicious of any treatment (performed by a vet or non-vet) that takes your seemingly healthy horse and results in weeks (even days) of obvious suffering. We have learned that by grinding away surface of the tooth, we are also opening up pulp cavities and contacting live, sensitive tissue. The teeth are not blocks of wood to be shaped as we deem desirable. We DAMAGE the teeth when we are too aggressive. More is not necessarily good! The trend in the veterinary industry is towards recommending regular dental examinations, and only performing dentistry when it is necessary ie. when there are significant enamel overgrowths. Can’t do what you think you should be able to do with your horse? Think their mouth or teeth is the reason? Have an experienced vet evaluate the horse, their behavior, and their mouth. Sure…. it might relate to the mouth, but it probably won’t. By all means, have them do basic dentistry (or have their dental technician do it) to remove sharp dental overgrowths to be sure that discomfort is not part of the picture. Then please be sure to take a good, honest look at your own horsemanship skills. Do this before you come to the conclusion that your inability to do what you want to do with your horse can be fixed with radical dental adjustment. I understand…. not all vets are good equine dentists and this has opened up an opportunity for others to seize the opportunity. And on the flip side, some lay dentists (really we should call them floaters not dentists) are excellent technicians. But the best lay equine dentists work with a vet who determines the cause of the problem (a diagnosis) and performs the sedation. Choose a vet with an interest and experience in equine dentistry. There are many vets that have an interest, have worked in thousands of equine mouths, and MOST IMPORTANTLY, understand the whole animal in a way that no lay person does. Not only do we have the training to understand what is needed, we have the experience, vision and judgment to understand what is NOT needed. Importantly, unlike lay equine dentists, vets are licensed and regulated. If you are dissatisfied, you can file a complaint with the board of veterinary medicine. My client with the dead horse has nowhere to go. There is no license to revoke and no recourse, unless she undertakes the expensive burden to pursue the non-veterinarian in court. In fact, the dentist was quite careful to cover her tracks. Her ” dental report” of the work done doesn’t have her name or phone number on it. She knows she is operating illegally. If you plan to use a non- vet to do dental work on your horses, please at least do your homework. Check your state laws. Is it legal for someone to charge to perform dental work on your horse, without involving a vet? Ask the appropriate questions. In most states, it is illegal for a non-vet dentist to practice, unless supervised by a veterinarian. Equine sedatives are powerful drugs. In many (if not all) states they should only be used by lay equine dentists under the direct supervision of a licensed veterinarian. 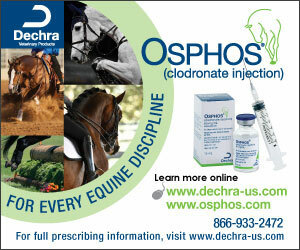 Under no circumstances should non-vets be injecting your horse without that supervision. There is no question that domestic horses need dental management – and some require more than others. Certainly, careful examination and a diagnosis is indicated when there is a problem that might relate to the teeth. However the art of equine dentistry is to remove dental material that is harmful to the horse, without taking away vital tissue and without causing undue suffering. That starts with a VETERINARY examination and a DIAGNOSIS. What? You are going to ROLL my horse? For the people here who are using the ‘if it ain’t broke don’t fix it’ theory for not having regular dental work. Please consider that one of the major factors for the increasing lifespan and wellbeing of horses, is good moden dental care. Eating well, and ‘seaming healthy’ are not great indicators. As prey animals they take lot to show any signs of pain. A good equine dentist, will show you and let you feel (put your hand inside the mouth using a speculum) what is going on before they start. Even a healthy horse, will develop sharp points. Sharp enough to cut your hand , yet the horse will show no signs of discomfort outwardly. At appear the “plague of the empiricism” is worldwide, stemming by the disinterestedness del veterinary or by lack the veterinary service in the county. The tragic is that in your moment, the owner of horse hopes more in the lay that in we professionals. The lay loses nothing if dies the horse. The Veterinary, the Master, the PhD, loses everything. A good technical not surpasses at graduated. Reach the state of art in the dentistry health, in the anesthesia, in the sedation, in the veterinary emergency, etc… Is task of the profesional and we assume the challenge. Why would anyone float their horses teeth every year. I had my 14 yr old floated once because she was dropping her grain but only once and if it isn’t broke why fix it. That’s like you having a filling inserted in your tooth because it may develop a cavity. Nonsense. Lucky6, Preventative maintenance is responsible horse ownership. Do you change the oil on your car are just wait until you have to replace the engine? I feel that Dr.Thal’s article is very constructive in that it has stirred dialogue, and encouraged horse owners to be more knowledgeable on this topic. This should help to avoid malpractice on their animals. I do however feel that the title is misleading. As has been pointed out, both Veterinarians and Lay dentists have individuals whose work discredits their profession. The article should be titled “Do You Know What Your Equine Dental Practitioner is Doing? You Should!”. Thank you for taking the time to investigate and reply. I agree with your points and with problems you stated. Your article does specify that it’s one specific case, and I see the same problems as well. The IAED allows anyone to join as long as they agree and abide by the Code of Conduct. Certification may be attempted after completing certain prerequisites. Graduation of a formal Equine Dental Program with a minimum of 240 hours education is the biggest one, along with passing our written exam, signing agreements, etc. The IAED Grievance Committee investigates any Grievances filed against members, and recommends consequences to the Board of Directors. The IAED Board works together with vet board in the states that IAED Certification is required. The closest to you is Texas and Arizona, both require practitioners to be IAED Certified. Several other states do too, but it’s all on an individual state by state basis. The IAED also requires CE to maintain Certification. We are both trying to protect horses and horse owners, and the IAED offers a solution that works in some situations. However, in the end it always comes back to horse owner education and integrity of the practitioner. Typical of Facebook attacks, nobody is named so there is no single person to hate and therefore becomes generic. Very similar mindset to racism. Allows for broad spectrum comments driven by individual egos and opinions, and then gets applied to all members of a particular group. There are qualified individuals on both sides, and yes owners must educate themselves and not trust some stranger just passing thru with no references. The International Association of Equine Dentistry offers professionalism and accountability through certification and continuing education requirements. The IAED also has a Grievance committee to handle any complaints, and is utilized by many states as the entity to oversee non-DVM equine dental practitioners. You can find IAED Certified practitioners at iaedonline.com. The IAED is a group of vets and non-vets who work together for the good of the horse, and believes that it’s the horse owner’s right to choose who does what to their animal. Thanks for your comments. I posted this case. It was not an attack. It was a call to examine aggressive motorized dentistry of questionable need and bring it out in the open. As it happened, it was performed by a non-vet lay dentist operating illegally in our state. there is nowhere for this owner to go to complain but at least in this day and age something like this can become visible. Now there are lots of different bandwagons everyone has jumped on. Most people are dogmatic in their viewpoint. You have people who hate motorized equipment, love lay dentists, hate lay dentists, love vets, hate vets. Often these strong opinions are based on hearsay or a single experience. It all makes for a pretty entertaining discussion. But what can we learn from it? To me it sure shows how poorly informed the average horse owner is, and on the flip side, how many people are lined up ready to take advantage of that lack of knowledge. It also shows how many different ideas there are about what constitutes good practice. I looked up the IAED. I see one vet on your board and that you some vet members too. Can I ask you: What qualifications does a practitioner need in order to be admitted to your association? What makes them a better practitioner than someone who is not certified and takes dental CE somewhere else? It is great that you certify your members. But what happens if one of your members damages a horse? What is the accountability there? Other than removing their certification, what is an owner to do? Perhaps we are very fortunate here in the South West of Western Australia because we have several very competent Equine dentists, both lay and Veterinary. The man that looks after my horses teeth never uses sedation, is gentle and always has a good look and feel before he starts. He is a lay person that learnt his craft at his fathers knee and the quality of his work shows. My horses adore him and they never have had any problems with bleeding or being unable to eat immediately after treatment. You know, there was a time when vets never did teeth. They all had a dentist they referred clients to. Then the power float was invented and teeth changed from a nuisance to a cash cow. Now the dentists are competition and veterinary associations are doing everything they can to get rid of dentists. I’ve seen dentists butcher teeth, but the worst teeth I’ve ever seen were done by vets. Vets only get MAYBE get 20-60 hours in school on teeth. The dentist in my area works for a vet clinic, but many of the vet clinics in the area refer all their clients to this guy because they know they can’t do nearly as good of a job as him. He only power floats in extreme cases, 99% of the horses he does are hand floated. You can feel the teeth better when you hand float, and the horses don’t need to be sedated. There’s the odd few that are bad, but usually once he does them once the horses realize this guy makes their mouths feel good and they’re fine the next time. They don’t even need a speculum (that nasty device that pries their mouths open). This guy also does it for 1/4 of the cost the vets charge, meaning people are better about getting teeth done when they need to be, and the horses are better off for it. I’ve been using this guy for my high end performance horses for years. I think I’ll just have to quit horses after he retires because he simply cannot be replaced. I for one will never ever ever trust a vet to do my horses teeth. Ever. Would you ever go to your family doctor for a tooth problem? No! You’d go to your dentist that specializes in teeth! Why should it be any different for your horse? Except that “equine dentists” are not equivalent to human dentists who went to 4 years of undergrad and 4 years of dental school. Some lay people take some perfunctory courses, but there is nothing to stop just anyone from spending $1000 on buying the instruments and working out of their truck. And if something goes wrong, the owner has zero recourse. I don’t agree with a lot of what you said but you are entitled to your opinion like everyone else. I am an equine vet, and I did thousands of horse’s teeth by hand before the Powerfloat came along. I didn’t learn what I know about teeth in vet school. You are right to be critical of the vet schools for doing a poor job educating in this area. I learned in CE I took later and continue to take, and I learned on the job. To this day, I use hand floats sometimes, and motorized equipment other times. I think a lot about the horse- the results of a careful dental exam, the health of the horse otherwise, the owner’s goals and perspective, and I try to balance those things. I have had trained technicians that worked under me and did teeth. I like that as I am getting old and arthritic. But I believe there needs to be accountability for horse health, and that is a big advantage of involving a vet. Beet pulp has kept geriatric horses alive and fat with no teeth till they passed on naturally and then equine senior arrived, Beet pulp has to be soaked and set in the morning to be fed at nite and soaked and set in the evening to be fed in the morning. If the beet pulp was fed dry, it most likely swelled up in stomach. Cows were fed dry to bloat them for show many years ago. The dental work didn’t kill this horse. The lower teeth in the front and rear were worn down by the upper teeth, not the dentist. The short teeth need room to return to table height and that takes time and an adjustment period, requiring in cases like this equine senior. For being no such thing as an “equine dentist”, who do you think discovered and perfected this modern equine dentistry for the last 45 years and then passed it on to the veterinarians? The professional “Equine Dentists”, that’s who!! I am glad to see you commenting here. 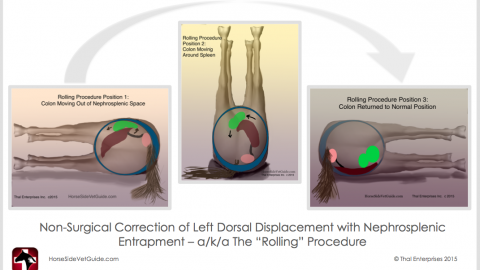 it is really important, as you are an familiar name in the world of equine dentistry. As you say, beet pulp is a good feed when prepared right. This caretaker swears they soaked it for a long time. What may also have happened in this case is that it spoiled in the heat and caused lots of gas accumulation in the stomach with fermentation, causing rupture. But no one will ever know for sure. As you say, lots of people use beet pulp and horses do great on it. Senior feeds also very helpful. Agreed. I have a dental form from this person (not signed and nothing filled out for sedation although she sedated every horse) showing aggressive reduction of the wave comples. Apparently she had worked on the horse 6 months prior and the horse was on mash for 2 months that time. So there is evidence she did some pretty aggressive dentistry in there. So here is my question to you. Were these adjustments necessary for a horse that was otherwise doing well? Of course the dentistry didn’t kill the horse, but as I said somewhere else, the follow-up management was (probably) a factor in the horses death. And it would not have been managed this way were it not for the dental work done. So was the work necessary? And even if the horse had not died, was this procedure the right thing for this horse? How do you feel about veterinary anatomists and knowledgeable vet practitioners like Paddy Dixon, that are showing these days that really aggressive dentistry like this is opening up pulp cavities, etc. May be more painful to the horse than we thought and may damage the teeth and not help the horse at all. You are probably the right person to explain to us all why if an older pleasure horse is doing well, they need aggressive leveling of their cheek teeth. Why do they need that versus simply removing overgrowths and extracting loose teeth? It’s good to crack this question open, because I think there are a lot of different opinions out there as to what constitutes “proper” dentistry for the horse. The only ones not in a position to judge who is doing right are the horse owners, But they are the ones who hear everyone making their claim to be able to “fix” their unbroken horses,all for a price. Thank you. It is sad that this horse lost his life, because someone thinks they know what they are doing when they did not go the school and learn how to properly take care of horses and other animals. I learned a lot when I work at Veterinary Clinics but I also know when to have the vet out to take care of my horse. As a veterinarian who co-authored and published a study on equine dentistry, we found that few horses required dental correction when fed a diet of largely hay and 3-4 lbs grain per day. The horses whose teeth needed floating at the start of the study did not require correction 6 months later. 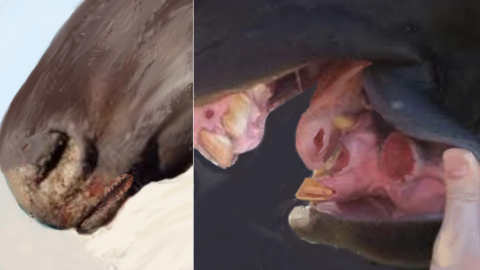 Horses with abnormal mouths – missing teeth, malocclusions – require observation but decisions to float have to be made on examination not on a carte blanche basis. Power floats are useful tools in the hands of the right practitioners who understand the horse’s mouth and don’t feel the need to “do something” so that they can charge the client. Thank you! This is great timing for me. I would love to hear more opinions on extractions. I have a 22y/o retired quarter horse. He sees a very well regarded DMV specializing in dentistry in North Texas. Last summer, during a routine floating, he discovered a fractured tooth which needed extraction (no other signs of discomfort or poor health). He recommended pulling 2 others at the same time because they had significant periodontal disease. This was to help preserve the other teeth and eliminate the need for more extractions down the road. The extractions went well. However, immediately after, the horse refused to drink for almost 3 days. I had to take him back to the clinic 18 hours post extraction as he was showing significant signs of colic due to dehydration. He also refused to eat for almost 3 weeks. My fat and happy pasture ornament looked terrible and acted miserable. Honestly, I wasn’t sure if he would recover given his age. He did recover, and now we are on a 6 month “recheck” schedule. At Christmas everything looked great. However, at our summer check up a few weeks ago, our vet suggested we pull FOUR more teeth by this fall. I’m not completely sure the horse or I can handle that! Overcome with anxiety, I have taken him since to two other clinics with a veterinarian specializing in dentistry. They both state they wouldn’t touch the teeth. It is so hard to have a relationship built with a vet, wanting to trust and do exactly as they say, yet realizing that you completely disagree. And still ultimately my lay uneducated decision has to decide which extremely differing route we will take. Not the kind of decision I want to be responsible for! I feel like I have been let down by someone that I put so much faith in for the possibility of a larger paycheck? I still have no idea what I will do by this Fall. I think I already responded to this question somewhere else. Did I not? I lost my beloved stallion to a botched equine float. A full mouth speculum was inserted and opened to the point that it broke his jaw. This procedure was performed by a DVM. Granted he was 29 years old but it was a horrifying, tragic way for him to loose his life. I would suggest to all the DVM’s that they take x-rays on the “older ones” before placing a speculum into their mouths. Gloria, Sorry that happened. There is a small risk of fracture of the incisive bone in older horses with a spec in their mouth. In most cases fracture is not fatal but obviously is very serious complication. Care must always be used. Subtlety, gentleness, minimal force, minimal dental adjustment to do the job, minimal time with spec in mouth. Dental work on horses is usually safe but there are horror stories. At all times, it is incumbent upon us to consider cost/benefit when we are doing things to horses. ie Will the work I do on this horse benefit the horse? Is the benefit worth the risk of doing it? Examples on real old horses with heart conditions. Is the proposed benefit of the dental work worth the risk of sedation. once those risks discussed and evaluated, then you go forward, or not. At least when you use a vet, if you feel something was done wrong, you have a recourse, the vet board. Thank to you Dr.Thal,every horse owner which had the chance to read this notice is aware of the danger that would be cause a real and vital problem on their horse health,i saw personally many dental technicians was doing exactly what you explained about the grinding away surface of the tooth, which certainly also opened up pulp cavities and contacting sensitive tissue. Surely it is not necessary but the problem is when a horse owner calls a lay person instead of a licensed veterinarian to resolve something which he imagines is the cause of the problem and in fact it would be not at all,it seems much close to a theater scenario in which the lay person for not feel himself is coming for doing nothing tries to do some gesticulation and even destroy the healthy dental tissue. Majid, Thanks for your intelligent comment. Of course, the only problem, as others have pointed out, is that we have not been blameless as vets. There are plenty of bad vet practitioners too. There are great veterinary dental practitioners, and there are those that understand the concepts and work with skilled dental technicians. The key is that ultimately, vets are held accountable to a higher standard. We are expected to know better. People need to hold us to that standard. The profession has allowed this to happen thought poor research, education and communication. The key I think is educating horse owners about what to expect from dental care, what the goals and standards should be. Power tools are just that- tools. Moderation in all things is a virtue, including floating horse teeth. Human dentistry is now featuring ‘sedation dentistry’ so I figure I’ve been ahead of the curve for a couple decades now- A full mouth speculum allows the whole mouth to be seen, and I will show the horses caretaker what we are looking at and frequently let them feel what the horse has going on. Education is priceless, as is a ruined mouth on a horse. Thanks Nancy. Makes sense to me. So many clients are misinformed about “equine dentists”. Since most vets here show no interest in dentistry and don’t want to refer a colleague clients get on the Internet and find an “expert”. In doing so they don’t offend their regular dvm. Tragic for many horses. I completely agree, Sheri. Thanks for your input. Keep useing power tools people. And your horses won’t HAVE ANY TEETH POWER TOOLS ARE A JOKE. Thanks for your input. You saw what I wrote above. I believe it is not the tool but the user of the tool that matters. I take it you use hand floats to do teeth. Are you a vet? Do you work with a vet? Do you practice legally or do you circumvent the rules? Please explain to us what you do and why. I always use a dentist that is assisted by a Vet. Equine Dentist?? are not licensed to give med to horses. Also I only have work down my horse a last resort. Mine have never had problems eating after floating. A diet a beet pulp is crazy. It’s so sad that the animal has to pay for this with his life. As a vet, every decision I make on treatment is based on how the horse will be affected. Hopefully, this lay dentist will be stopped very soon from performing dental work on horses! With your permission, and appropriate credits, could I have your permission to use this photo in my equine nutrition course? A picture really is worth a thousand words in this case. Thank you for your consideration. EquineDentalVets.com has a lot of information for horse owners. 1) There is no such thing as an “equine dentist”. The word “dentist” refers to a person who has graduated from a College of Dentistry with a degree in dentistry such as DDS or DMD. Also, “dentist” refers to a veterinarian who has completed a rigorous training regimen in dentistry thru the American Veterinary Dental College and who is a Diplomate of the AVDC. Any other use of the word “dentist” is FALSE ADVERTISING. 2) It is clear to me that a couple of the people commenting here have been indoctrinated by said lay persons who fancy themselves to be fully licensed and trained medical professionals, but who most definitely are NOT. It’s very nice to know a lay person who cares very much about horses, but understand that they are NOT licensed, regulated, accountable medical professionals. 3) Power instruments are a valuable component of a veterinarian’s dental instrumentation and make equine dental procedures quick and efficient, which is good for the horse and good for the veterinarian. The instruments themselves are NOT responsible for the person holding them who does not have any education or knowledge regarding anatomy or physiology of the horse’s dentition and no skill in the use of these instruments. Power instruments can be a dangerous weapon in the wrong hands, as this case clearly demonstrates. 4) No horse should bleed excessively (if at all) or be unable to eat IMMEDIATELY after a routine dental exam and judicious removal of tooth structure. If this is the case, too much tooth structure was removed, violating the principles of Functional Occlusion! 5) Veterinarians are individuals and have individual skill sets and interests. Some are highly skilled at surgery, lameness, ophthalmology, reproduction or internal medicine. If a veterinarian does not enjoy or is not interested in dentistry, it is incumbent upon them to refer their clients to a veterinarian who is knowledgeable and skilled in the speciality of equine dentistry. They should not be referred to a lay person. 6) Every state/country has a regulatory board and rules and statutes governing the practice of veterinary medicine. All of this information is available on the internet but it requires a curious person and a little effort to find out what is and what isn’t legal in your state. Your horse should not be worse off after dentistry than they were before. Horses should not bleed excessively unless there is an explanation (like an extraction or a big pre-existing wound in the mouth). The blood should not be coming from inadvertently wounded tissue in the mouth.An inexperienced practitioner will often have lots of blood. Once in a while, accidents happen. But your practitioner should be concerned about that and communicate to you. It’s ok to ask your practitioner to open up the mouth and show you where the blood is coming from, and more generally show you what they are doing and why. The photo showing the degree of tooth reduction is shocking. No horse should ever have difficulty eating after a routine dentistry. Dr. Thal is doing all horse owners a service by educating them and hopefully encouraging them to ask the right questions to get their horses the best care available. Power tools are not dangerous in the right hands. In the wrong hands the kind of thing shown in the picture can be the result. Thanks Maureen. I appreciate your input. What states do require an equine dentist to be licensed ? I use a lay floater who is a second generation practitioner. He DOES NOT use power tools, but continues the skillful practice of floating by hand using hand tools. Thus he maintains significant feel and control of the amount of reduction for each tooth. I know of no veterinarian who possesses more skill in this practice, nor shows more concern or compassion for the horses under his charge. The broad generalization, unfortunately codified in many state laws, that only a veterinarian is capable of this skill is unfortunate. 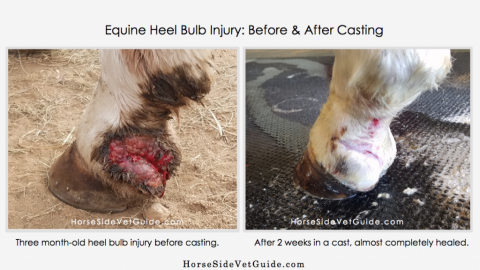 Particularly since so many veterinarians choose to use power tools which, time and again, have caused serious and often fatal damage to horses. I feel that a better use of this platform would be to educate horse owners on the needs, objectives and particulars of floating and what to beware of, when suggested by anyone regarding your horse’s teeth. That appears to be what he did, isn’t it? Does your lay dentist use sedation or a full mouth speculum when floating your horse’s teeth? David, Thanks for your thoughtful post. Again, there are good lay floaters and there are good vets. Power tools are not evil but they can do evil in the wrong hands. The nice thing about having a vet involved is that there is a body of governance that can hold them responsible if they do wrong. And you horse people should hold us to a high standard. There is no such thing for lay floaters operating without any vet relationship. Just ask the owner of this horse. A very well put article. I am happy to see you point out that all vets are not good & some l”ay dentist” ARE good. Although just because a Vet has done hundreds of dentals, still does not mean they are actually good & not removing to much tooth with power tools. I have seen many licensed & “experienced” vets rake havac in a horses mouth. 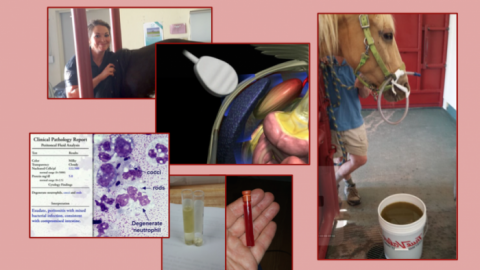 education is the key to all horse owners…research, research, research…ask questions, ask, ask, ask! Bev, you are right. Thanks. I’ve had a professional vet do my mare’s float every year, even though I have often wondered if she really needed it. At one time he even suggested that I have her teeth done twice a year. He uses a power float and everytime after he’s done, my mare’s mouth is sore for several days and she has trouble chewing her hay. He always advises me to feed her a wet mash of timothy pellets and beet bulp. And this has always concerned me. I had a different vet perform a power float on my mare this year, and although she was able to eat soon afterwards, her mouth slowly bled for over and hour, enough that it dripped onto the ground. Not sure now if I should try another vet to do future dental care on my mare or find an equine dentist. OMG…do not use either of them again. Your horse is being abused and traumatized….say nothing of the damage being done…..Check with the nearest vet school for recommendations….check with people you know who have had positive experiences without bleeding and special diets for weeks. This is not normal dental work…. Barbara. There are good practitioners (vet and lay floaters working with vets) in most regions. You are right. 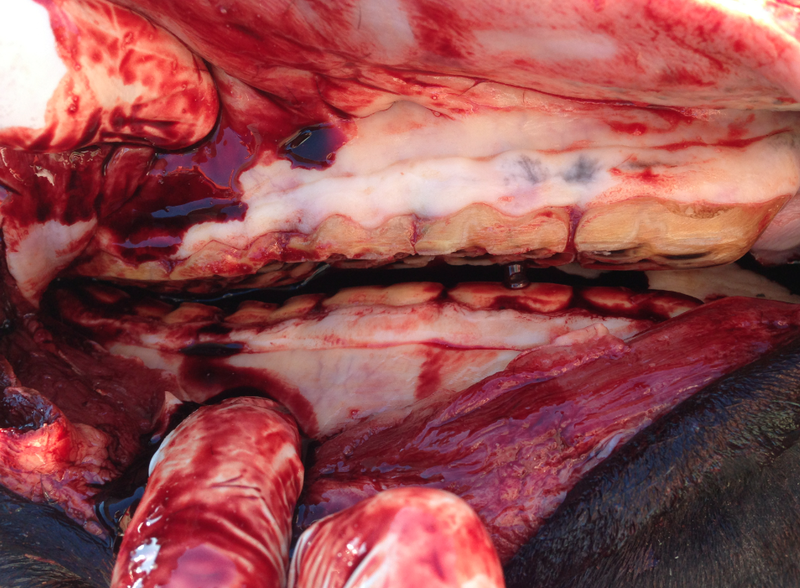 If you see a horse bleeding after dentistry, ask the practitioner why. Have them show you what is causing the bleeding. It’s OK to ask why, and say you don’t expect to see that. There may be an explanation. Unless teeth are being extracted, there should be little blood. And horses that could eat before should be able to eat after. don’t know where you live, but if you are in the virgina/maryland/pa area…please let me know I have an equine dentist who is awesome. please email me….if you are in my area. The question I have for you is “How do you know a dentist is awesome?” Potential answers: Don’t seem to hurt the horse? Gets along with the horse and does stuff in the mouth without sedation? Horse seeming to do well after? Dentist is really cool and has a magnetic personality? They have awesome power tools? Horse totally different performance after dentistry- much better? I think it is wise to consider this question if you are looking out for your horse. DO NOT allow anyone to use power tools in your horses mouth! My equine dentist took me through all the manual floats in his arsenal of tools and showed me the amount of tooth you can remove with one stroke. Imagine now something going at 500 RPM! So unnecessary. He looks at my horses mouth once a year and several times has said “what I could take off isn’t worth taking the tools out of the truck”. So grateful for this man. Your equine dentist likes hand floats and he told you about how effective hand tools are in the right hands. That does not mean that power tools have no place. Power tools do provide a much greater possibility for abuse and damage. Both are useful when used correctly and with the right goal in mind. It’s not the tool, its the practitioner. I work with an equine dental technician now. She not only knows more than I do about equine dentistry, but was taught by a veterinarian who is passionate about dentistry. We have followed veterinarians in the area, and let me tell you, talk about malpractice. Grinding down wolf teeth instead of extracting them, not reducing incisors so the molars actually touch, not reducing 106, 206, 306, 406, 111, 211, 311,and 411 ramps and hooks, completely flattening the molar arcades, leaving loose teeth in place so “we can see what is going on in the fall”, the list is endless. Take away message here: do research on your equine dental technician/veterinarian. If they haven’t been to an equine dental school – RUN! Find a qualified person to keep your horse’s mouth in balance and correct any problems. If you hear them say “Hmm, I think this looks like a good place to stop” you might want to change! Julie. Good points. Thanks. And I agree with what you have said about the average vet doing teeth. Sad for our profession. But there are of course also excellent vet dentists and vets that know dental principles but have experienced techs work for them, like yourself. Don’t you think thought that the problem may also relate to goals being taught by various schools of dentistry? What should the standard be? The sort of “equilibration” that this lady learned and practices and that this poor horse endured is invasive and poorly informed dentistry. I think it is way too much for the sake of performing “miracles” in a horse’s mouth and selling snake oil.And she went to dental school. So going to a dental school is no free pass either. Agreed! Not all dental schools are good. The best way to find a good technician/veterinarian is to do research! Even horses who have experienced difficult extractions should never be sore more than 2-3 days! Thanks for your concern. No way your mare should have been dripping blood from a dental float, unless its a young horse and they maybe pulled caps or wolf teeth.. over an hour.. nope, he cut into your horses tissue somewhere. That make me furious. You are welcome. What is important is opening up this dialog and making people more aware. Download the Horse Side Vet Guide® App Now! The Horse Side Vet Guide® mobile app is the most convenient & valuable equine health care resource you can own. Download the app today. You and your horse will be glad you did! Overall, I cannot emphasize enough what a valuable tool I found this to be, and for the amount of time and the wealth of information in a single app, $4.99 is a STEAL! I’ve paid 10 times that amount for vet books that were nowhere near as helpful. Love this app! Very informative and they are always updating it with new information! 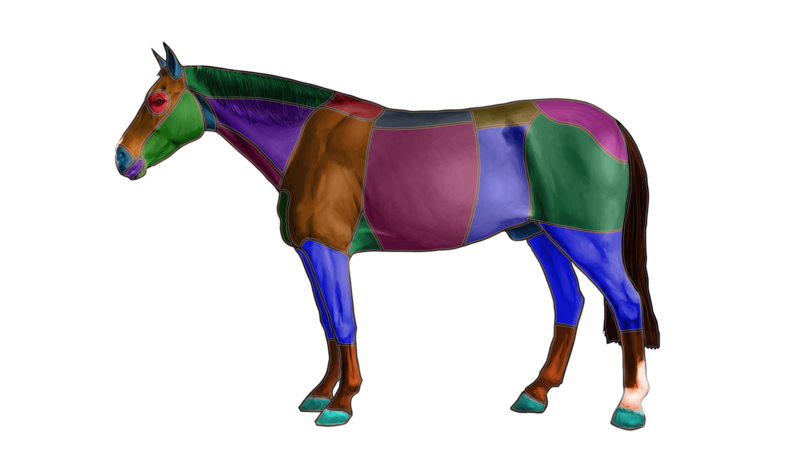 Did you know, you can search for information based on anatomic region, using our equine models.